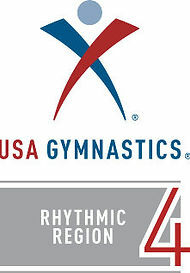 Rhythmic gymnastics program in Farmington, CT.
RhythmicAngels™ is happy to answer any of your questions concerning rhythmics, gymnastics, stretching, agility & flexibility training, be it for yourself or your kids! For example, Jane Doe, John Doe. We will not share your email with anyone or spam with messages either. We will not share your phone number with anyone or spam with messages either. Choose age Adult ______________ 3 4 5 6 7 8 9 10 11 12 13 14 15 16 17 Please select student age. Choose program Pre-School - $15/class Recreational - $15/class Competitive Team - $15/class Adults - $15/class Private: Stretching - $60/hr Private: Tailor-made - $60/hr Please select program. Jula is amazing with the kids! She is patient, playful, engaging, and very talented. She somehow teaches proper technique without boring the kids. My daughter loves going to class. My 3 year old has shown amazing progress... pretty much owing to all the great expertise and individual attention, especially for kids of such tender ages. Amazing job so far. Here's our batch of professional credentials from some of the most respected US education and gymnastics organizations. Take a look! We're fully accredited by USA Gymnastics, the national governing body for the sport in the United States. Take a look at our accreditation papers here.